An OutGROW OutPLAY Pre-Sale EXTRAVAGANZA pass is the HOTTEST ticket in town and one of our greatest volunteer and consignor perks! OGOP’s Pre-Sale EXTRAVAGANZA is a is held the night before or the morning of the public sale. Pre-Sale EXTRAVAGANZA pass holders shop our sale before the public. They have 1st dibs on an amazing selection of items to choose from and can buy the best items at the lowest prices without the crowds. You must have a pass in order to enter the Pre-Sale EXTRAVAGANZA. 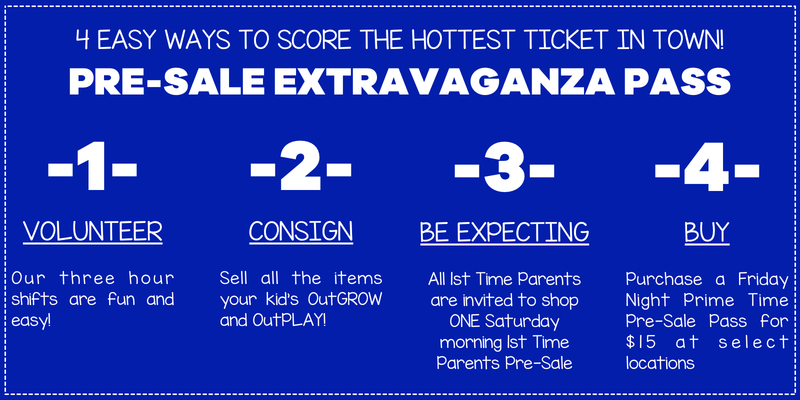 There are four ways you can score a Pre-Sale EXTRAVAGANZA pass! 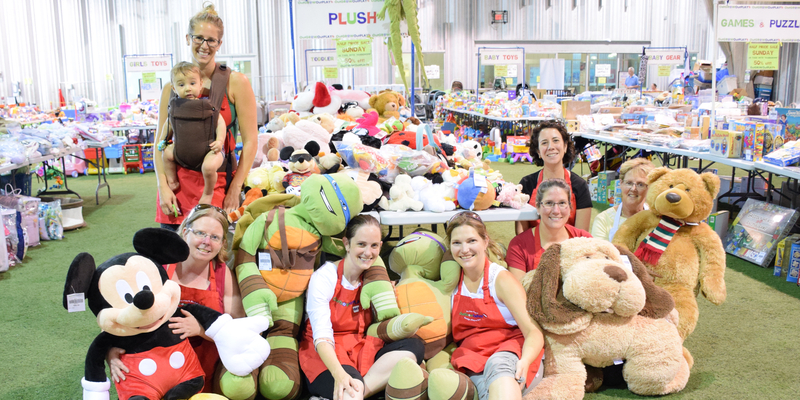 VOLUNTEER PRE-SALE: Volunteers and Team Leaders shop the sale BEFORE anyone! Volunteer for a shift(s). Click here to register as a volunteer. Volunteering will allow you access to one of the VOLUNTEER Pre-Sale EXTRAVAGANZAS. 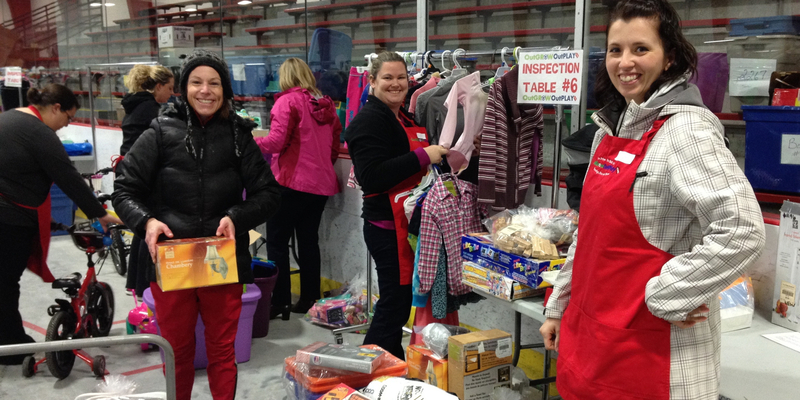 CONSIGNOR PRE-SALE: Consignors who do not volunteer, shop the sale after Volunteers. 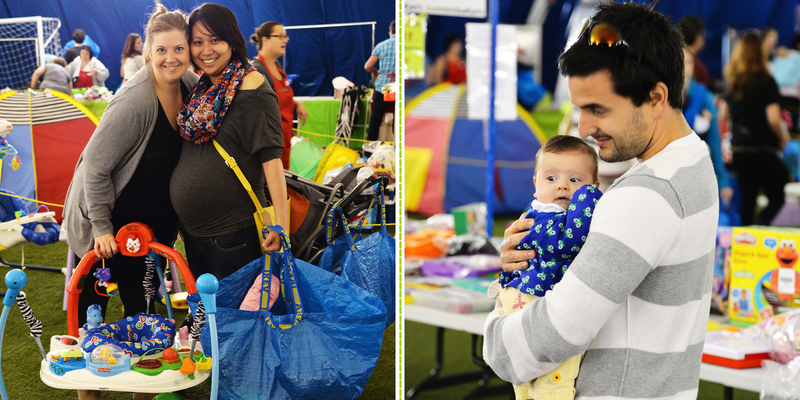 Consign all the items your children have outgrown and outplayed at our sale. 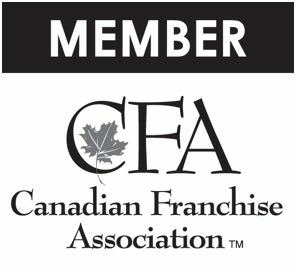 Click here to sign-up as a consignor. 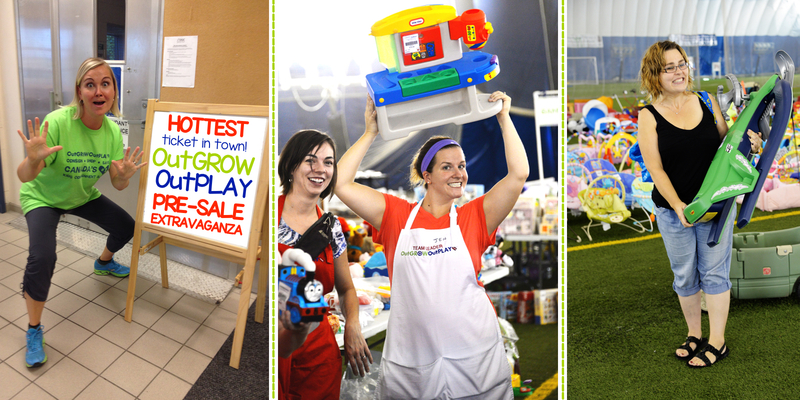 CONSIGN 25 items and you’ll receive a Consignor Pre-Sale EXTRAVAGANZA pass. FRIDAY NIGHT PRIME TIME PRE-SALE: Available at select OGOP locations only. 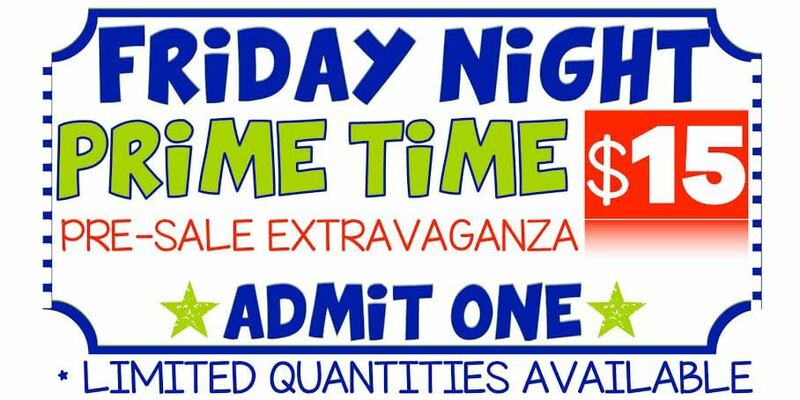 If you are not consigning or volunteering, you can purchase a FRIDAY NIGHT PRIME TIME Pre-Sale EXTRAVAGANZA pass for $15 to shop after volunteers and consignors. Due to the extraordinary growth of our events, we needed to figure out a solution to everyone arriving at the same time to shop the sale. Purchasing a Pre-Sale pass allows you shop the night BEFORE the public. Available at select locations only, a limited amount of passes are available and once they are gone... there are no more!